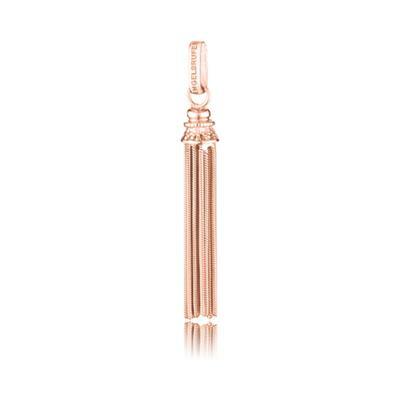 The Engelsrufer Tassel pendant is beautifully crafted in 925 Sterling Silver and 18ct Rose Gold plating. A symbol of protection, the tassel is believed to distract evil and negativity with its liquid like movement. Its unique shape is perfect for layering with other Engelsrufer pendants.